London: Society for Promoting Christioan Knowledge, 1900. 56pp. 42nd thousand. Pictorial paper over boards. 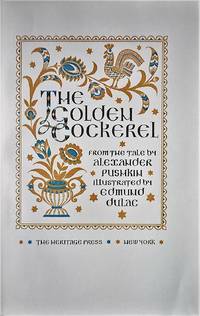 Contains 12 full page color illustrations, much in gilt. Some soiling and small nicks to covers, binding is sound and tight. Owner's name and date on front endpaper, slight offsetting of illustrations to text, but contents are otherwise clean.. Hard Cover. Very Good/No Jacket. 16mo - over 5¾" - 6¾" tall. Philadelphia: Ketterlinus Litho. Mfg. Co., 1932. Unpaginated, 24pp. 24mo. Illustrated wraps, stapled spine. Seven color illustrations. Light wear and soiling to covers, binding tight and contents clean. Published for the Celebration of the Two Hundredth Anniversary of the Birth of George Washington.. Soft Cover. Very Good/No Jacket. 24mo - over 5" - 5¾" tall. Famous Water-Colour Painters, I.- Frank Brangwyn, R.A.
London: "The Studio" Limited, 1928. 6pp+8 tipped-in color plates. Paper covered boards. Very slight wear, narrow splits at head and tail of front hinge, otherwise very clean copy with slight toning to contents, which are otherwise clean. Dustjacket has tears and chips mainly to edges and some darkening. A short biography of the artist along with 8 color reproductions of his works.. First Edition. Hard Cover. Very Good/Fair. 4to - over 9¾" - 12" tall. New York: Crown Publishers, 1955. 1st Edition 1st Printing. Hardcover. Fine. 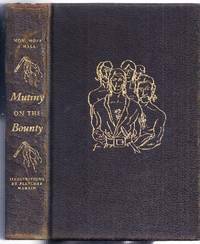 FIRST PRINTING OF First Edition. The book is in FINE condition with no previous owner marks or writing on any pages, clean, no foxing, tight binding. The dust jacket has edge wear and rubbing, some loss at corners and spine ends. The book has 511 + 1 pages, very many color illustrations of paintings. PHOTOS ARE OF THE ACTUAL BOOK BEING OFFERED. New York: Hodder and Stoughton 79pp. No date, circa 1910. Red paper covered boards, green cloth spine, pictorial paste-on to front cover. 12 tipped-in color plates with accompanying verse. Covers worn, scuffed and lightly soiled. Text and illustrations are age-toned but clean, one short tear to frontispiece, a few pages loose, endpapers darkened , pencilled inscription on front endpaper dated September 27, 1913.. Hard Cover. Fair. 4to - over 9¾" - 12" tall. Tel Aviv: Tiberias Art Gallery No date, circa 1960s. Unbound cardboard folder, 8 color plates, text in English and Hebrew. Covers soiled and foxed, plates are mildly darkened in some margins, otherwise unmarked. Flowers and landscapes of Israeli scenes. Int/13roduction by Rivka Kaznelson. Soft Cover. Good. Elephant Folio - over 15" - 23" tall. London, Paris & New York: Cassell Petter & Galpin 32pp text + 24 plates, no date but probably 1875. Brown blind -stamped boards, gilt lettering. Spine missing pieces from top and bottom, shelfwear and sqcovers spotted, binding is tender. Light soiling to endpapers, text and plates are sound and quite clean. Wonderful color illustrations accompanied by instructions on color application. . Hard Cover. Good/No Jacket. Oblong 4to. London, Paris & New York: Cassell Petter & Galpin 32pp text +24 plates, no date but probaly 1877. Blue blind-stamped boards, gilt lettering. Covers spotted, edgeworn and spine ends chipped. Some splitting at hinges but binding is holding, contents are age-toned, but text and plates are clean and sound. 24 color plates and text explaining the technique of sepia painting.. Hard Cover. Good/No Jacket. Oblong 4to. Tel Aviv-New York: Gazith Art Publishing, 1953. Unbound folder in transparent cover, 10 tipped-in color plates, text in English and Hebrew. Light soil and wear to folders, plates and text are clean. Artists representated are Mordechai Arson, Hayyim Athar, Moshe Castel, Hayyim Glicksberg, Marcel Jancu, Mordechai Levanon, Ariel Lubin, Moshe Mokady, Menachim Shemi and Joseph Zaritzky accompanied by a brief biography of each.. Soft Cover. Good. Elephant Folio - over 15" - 23" tall. Seattle: Frank McCaffrey at his Dogwood Press, 1934. 1st Edition 1st Printing. Hardcover. Near Fine/No Jacket. FIRST EDITION. The book is clean, no rubbing, no foxing, solid binding, no owner marks or writing on any pages. It has 93 pages and 8 b/w photos. PHOTOS ARE OF THE ACTUAL BOOK BEING OFFERED. New York: Crown Publishers, 1960. 1st Edition 1st Printing. Hardcover. Fine/Very Good. FIRST EDITION. Not dated, but published in 1960. Fine condition with previous gift inscription on blank FFEP dated 1964, no other marks or writing on any pages, clean, no foxing, tight binding. The dust jacket has minor edge wear, tiny 3mm tear upper front near spine, tiny 3mm x 4mm loss at bottom of spine. The book has 95 pages and many color illustrations of paintings by Matisse. PHOTOS ARE OF THE ACTUAL BOOK BEING OFFERED. New York: Editions d'Art Albert Skira, 1957. 149pp. 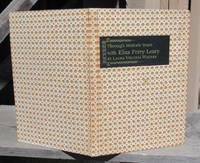 Ivory buckram boards, dust jacket and slipcase. Both book and dust jacket are in very clean and fresh-looking condition. Slipcase is partially faded, spotted and lightly worn, but has preserved its contents. An historical perspective of France as illustrated by 70 tipped-in color plates of noted works of art, arranged chronologically, with commentary by Pierre Courthion.. Hard Cover. Near Fine/Near Fine. 12mo - over 6¾" - 7¾" tall. Moscow, USSR: Raduga Publishers, 1983. First Edition. Hardcover. New. Size is 8vo. 122 COLOR Plates. (full book description) Raduga Publishers, Moscow, USSR, 1983. 1st Edition NEW, Hard Cover, w/Dust Jacket. Size is 8vo, 163 + Plates. 122 COLOR Plates. It's NEW!! NO ink names, DJ tears etc. This is a NEW book. [Color Plates; Russia] SELLING WORLDWIDE SINCE 1987. WE ALWAYS PACK WITH GREAT CARE! Moscow, USSR: Raduga Publishers, 1983. First Edition. Hardcover. Fine/Good. Size is 8vo. 122 COLOR Plates. (full book description) Raduga Publishers, Moscow, USSR, 1983. 1st Edition Fine-/Good+, Hard Cover, w/Dust Jacket. Size is 8vo, 163pp + Plates. 122 COLOR Plates. A 1" scrape mark on DJ front cover, o.w. clean, tight & bright. NO ink names, bookplates etc. [Color Plates; Russia] SELLING WORLDWIDE SINCE 1987. WE ALWAYS PACK WITH GREAT CARE! New York: Harry N. Abrams, 1978. 311pp. Marroon cloth gilt spine lettering. A very good clean copy, tiny tears to upper margin of frontispiece page and title page repaired, faint foxing to top edges, cover and interior are clean and unmarked. Commentary on each artist with illustrations in color and black and white. . First Edition. Hard Cover. Very Good/Very Good. Folio - over 12" - 15" tall. Annaberg: Grasers Verlag. Original Wraps. Good. No date but probably late 1800's early 1900's. Grasers Verlag. Original wraps with a loose section of text (believed as issued) and an accordion style fold out section of 16 double sided color plates featuring many plants. All text in German. A small booklet featuring descriptions and illustrations of various plants. In GOOD condition. Moderate darkening/fading to the extremities. Moderate scuffing and some mostly minor creasing along the extremities, with a few small tears. Moderate browning to the text in the interior. Mostly minor browning to the plates. London, UK: Adam & Charles Black, 1905. First Edition. Hardcover. Very Good. Size=6.5"x9". 20 COLOR Plates. (full book description) Adam & Charles Black, London, UK, 1905. 1st Ed. (U.K.) VG, Hard Cover, no Dust Jacket. Size=6.5"x9", 177pp(Index). 20 COLOR Plates. Cloth nicked head & foot of spine & at fore-edge corners, 1" thinned area on Title Page (letters not affected), o.w. clean, tight & bright. No ink names, bookplates, etc. Text & COLOR plates are in fine condition. [Germany; COLOR Plates] SELLING WORLDWIDE SINCE 1987. WE ALWAYS PACK WITH GREAT CARE! New York: Coward-McCann, Inc., 1968. 1st Edition 1st Printing. Hardcover. Fine/Near Fine. FIRST PRINTING of First Edition. The book is in fine condition with no previous owner marks or writing on any pages, clean, no foxing, solid binding. The dust jacket is in nice condition with minor rubbing tips corners, tiny loss tips two corners, clean. The book measures 283mm tall x 285mm, and has 200 pages, 283 b/w & 12 color photos (tipped in) & several illustrations. PHOTOS ARE OF THE ACTUAL BOOK BEING OFFERED. New York: Limited Editions Club, 1947. Hardcover. Rubbing and cracking with some loss to the spine which is dry. Good in a Very Good slipcase. Fletcher Martin. Bound in full sheepskin with gilt decoration on the front cover and spine. Copy # 844 of 1500 illustrated with 16 full-page color plates and a number of line drawings in the text by Fletcher Martin. SIGNED by the illustrator on the colophon page.